obedience | Victory - Honor God. Make Disciples. Can we boldly trust God and do whatever it takes to follow Him? Be inspired as Jill shares how God gave her the courage to live according to His plan. Here is her story. I grew up with my family in Quezon. When I turned 16, my aunt asked if I could temporarily stay with her in Parañaque. My mother was working in Bahrain at that time, while my father was also in Parañaque but living in a company-owned dorm for employees. When my parents agreed, I transferred to a high school in Parañaque and worked part-time at the salon managed by my aunt. On my first day on my new campus, I immediately noticed that the students there were quite different from the students from my old high school. I was not yet a Christian then, so I easily became curious about all the new things I got introduced to and allowed myself to indulge in them. I entered into a relationship with a girl from my class and invested so much of my emotions in it. Three years into that relationship, I got invited by an officemate to attend a worship service in a small community church. When I attended, I felt a joy I had never experienced before. But I also felt uneasy—because I knew I was not honoring God in the way I was living my life. While knowing God, deep feelings of guilt continued to creep up within me. I tried to get away from the things that are not pleasing to the Lord, but I kept breaking my resolve. Then God made a way. I landed a job in Makati, which prompted me to move to my older brother’s place in that city. 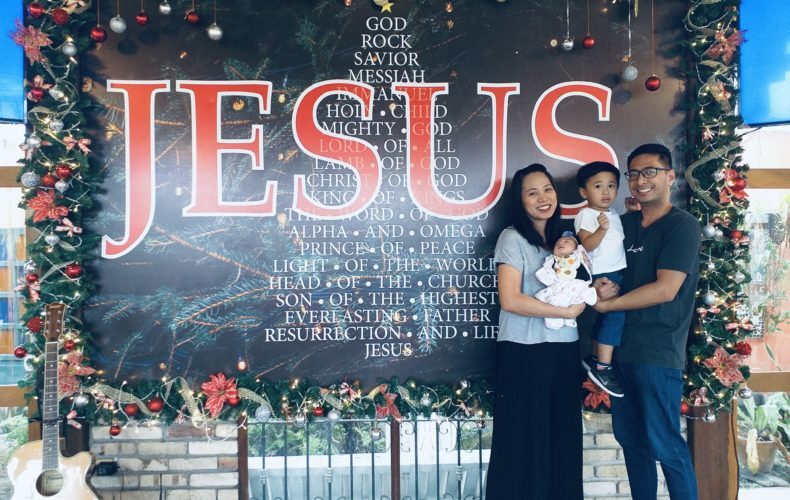 I learned that he and his friend were attending worship services at Victory Fort, so I asked them to bring me along one day. After a year, I prayed and asked God to give me the courage to completely close the door to the things that are not from Him and to take away everything that was preventing me from following Him. I knew it wouldn’t be easy—in fact, it would be very painful—but I still made a decision to let Jesus be my Lord once and for all. Last year, God surprised me when I unexpectedly found the courage to let go of the things that were breaking His heart. I prayed and felt a different kind of peace knowing that I had already surrendered everything to Him. 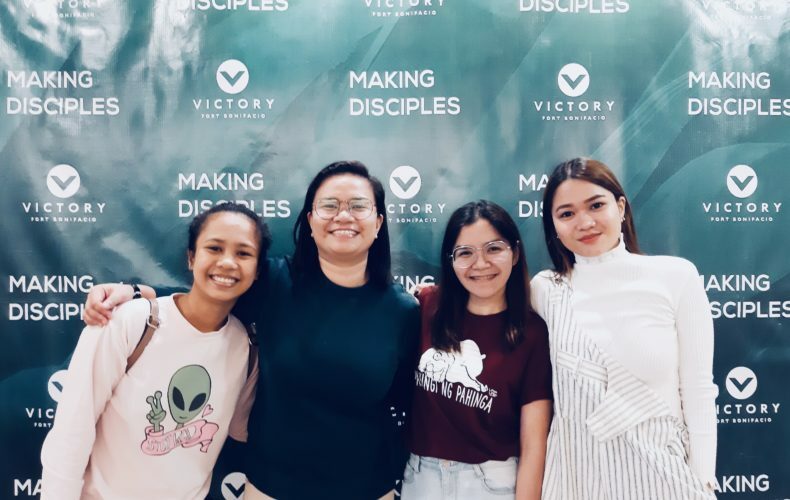 On October 26, 2018, I went through Victory Weekend and thanked God for freeing me from all my sins and for empowering me to share this testimony. I am beyond grateful to the Lord for taking me out of a situation that was full of pain and guilt and for helping me walk with Him in faith. He pulled me from a pit I thought I could no longer get out of and made me realize that nothing, indeed, is too hard for Him. He took away every condemning thought and enveloped me with His grace. I denied myself the things I thought I wanted, but ended up finding myself whole and complete in His love—and that’s all I needed. 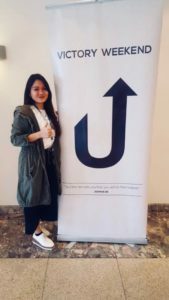 Currently, I am part of Victory Fort’s kids and prayer ministries and continuously allowing God to be Lord over my life. Following God is not easy, but it is always worth it. May we faithfully do whatever it takes to obey God and live lives according to His will and purpose every day.